If you like videos, I shot a short video for this recipe. You can view it below. If you like videos, you can subscribe to my You Tube Channel to never miss a new one. 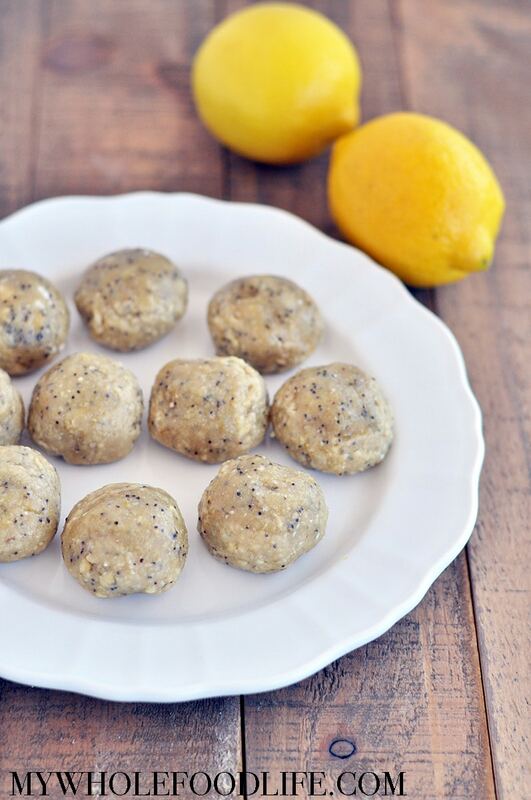 These no bake Lemon Poppy Seed Energy Bites are packed with healthy fat, protein and lemony flavor! In a food processor , mix all the ingredients well until a dough forms. Use a cookie scoop to form balls and place on a lined plate or baking sheet. Place in the fridge to set. Just a few minutes is all you need. Keep these stored in an airtight container in the fridge. They should last several weeks that way. They can also be frozen for longer. Enjoy! can I use almond flour and butter? I made these the other day - love the flavor! Only problem was I used too much lemon juice and so the consistency wasn't right. But an easy fix for next time. This one is a keeper. I just love your recipe. I've been looking for something like this for so long and I'm so happy I found it! Thank you so much! I'll keep following your posts, for sure! How much is a serving size and do you know what the calories look like on this? I am new to the energy bites and looking for a good pre-workout snack. I would say 2-3 bites is a serving size. Can you leave the nutritional info and serving size? I'm sorry, I don't know the nutritional info. You can upload the recipe into my fitness pal for a rough estimate. The serving size depends on the size you make the balls. Mine were about medium sized and the serving would be 2 or 3.